New Delhi, April 4: The Indian Premier League (IPL) has attracted controversies as much as it has provided a platform for cricketers from across the globe to showcase their talents. If Virat Kohli stole the show with back to back hundreds in the 2017 season to help RCB qualify for the play-offs, the 2018 edition saw the Cauvery Water dispute forcing Chennai Super Kings to move their base from Chennai to Pune. 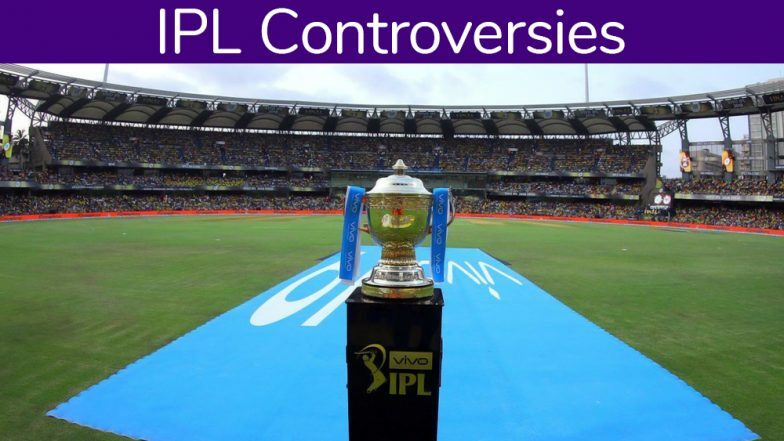 Indian Premier League Controversies: VIVO IPL 2019's 'Mankading' To Join Slap Gate in 2008, Spot-Fixing Fiasco in 2013 and Many More Scandals.